Cardinal Spellman High School is an independent, Catholic high school devoted to weaving our proud past into a powerful future. As a college preparatory school, Cardinal Spellman is dedicated to offering its students the opportunity to develop personal potential, to pursue truth in knowledge, and to participate fully in worship of our Lord. The academic program at Cardinal Spellman has been carefully designed to offer our students an educational experience that is rigorous, challenging and engaging in the context of a Christian community. Christian sportsmanship and enthusiasm are essential ingredients to all of Cardinal Spellman's activities and sporting events. Our students come from 40 cities around southern Massachusetts and participate in a wide range of academic extracurriculars and competitive athletics. We welcome our students' families into our Spellman family, and hope you feel a sense of community whether it be in the stands, in the audience, or as a volunteer. Spellman is proud of our alumni. They are the basis of our community; our foundation for the future. A Spellman Catholic education is only possible thanks to the generous support of our alumni and friends. Cardinal Spellman hosts successful 60th Anniversary Legacy Gala! Read More about Cardinal Spellman hosts successful 60th Anniversary Legacy Gala! Spellman launches Lenten Accountability program! Read More about Spellman launches Lenten Accountability program! Spellman Junior Craig Faria reaches 1,000 points in Basketball and continues to thrive! Read More about Spellman Junior Craig Faria reaches 1,000 points in Basketball and continues to thrive! Once again, we are gearing up for the Cardinal Spellman High School Golf Tournament celebrating our 60th Anniversary! This year's tournament will take place on Monday, June 17 at the beautiful Willowbend Country Club in Mashpee. 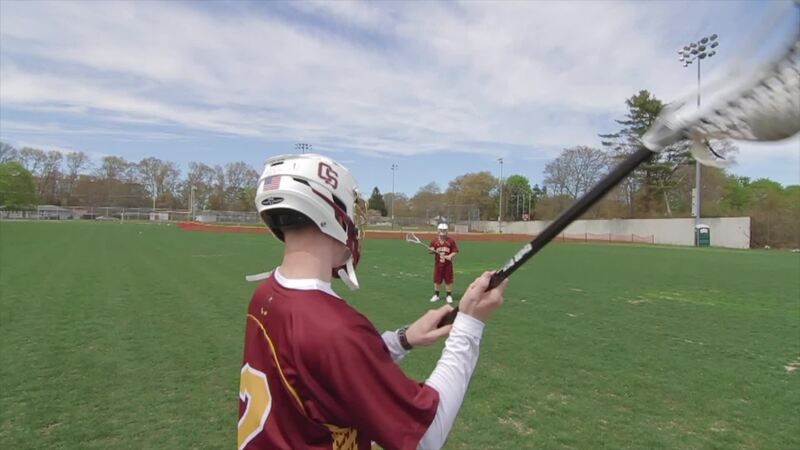 All funds raised through this premier event will support Spellman's very first multi-sport turf field and The Joey Glynn Memorial Scholarship. Due to the overwhelming success of this event last year, and in anticipation of a sellout, we urge you to make your reservation soon to secure your spot. Registration includes greens fee, cart, lunch, chowder bar, dinner and a tournament gift pack including a YETI tumbler! We look forward to seeing you on the green!